If you find this blossom attractive…. 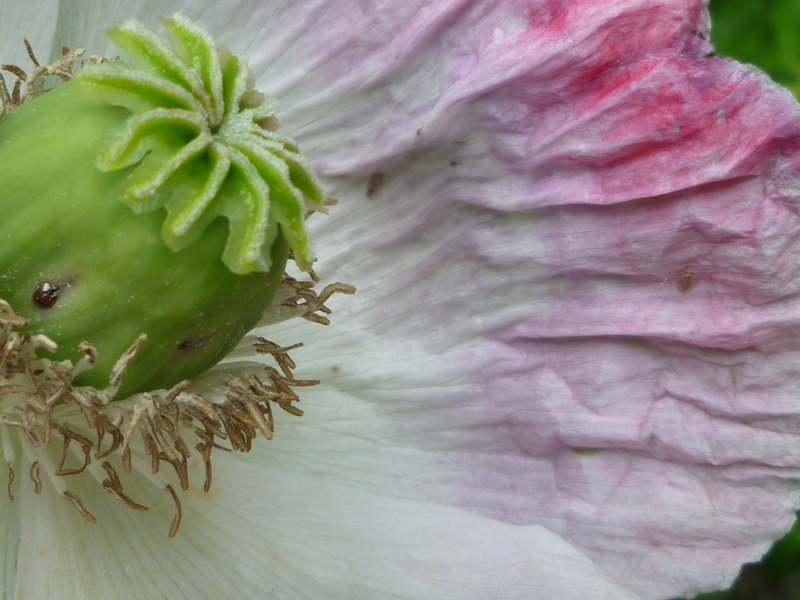 …why don’t you Papaver and see the original? Appeared from nowhere (although we suspect that the seed came from Ms Frank the Potter’s garden) and started growing like Jack’s proverbial beanstalk. At 1.95m (6’4″ in old money) I’m definitely not vertically chalenged, but this dude can look me straight in the eye and he’s still an adolescent. Stunning blossom – almost like crushed silk. 16 Jun	This entry was published on 16 June, 2014 at 08:27 and is filed under Botanics, Mainz. Bookmark the permalink. Follow any comments here with the RSS feed for this post. Older: Still crazy after all these years…. Thanks for the link; a very interesting flower. Beautiful variety. It’s always nice when you get “volunteer” plants in the garden!